With recent heavy snowfall in the Alps, we are all counting the days until the ski slopes reopen for the winter season. The word ‘Ski’ is derived from the old Norse word ‘skíð’ which means a split piece of wood. Archaeologists have found ancient paintings in China dating back 5,000 years that seem to depict skiing. Skiing was originally a form of transportation for locals who lived in mountainous areas. In the 16th century conflict between Denmark and Sweden, canvas was stretched between skis to help carry the wounded, hence the modern term “stretcher”. The Norwegian army started forming ski battalions around the mid 1700s. 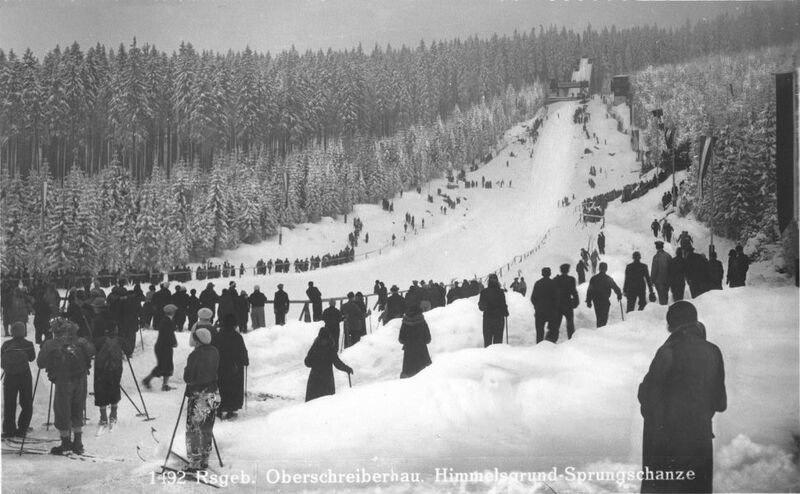 It seems that ski races may have originally started as military exercises. Alpine skiing was first introduced to the Olympics in 1936, but skiing became more popular as a pastime after WW2 when transportation to the Alps improved. Snowboarding was invented in 1965 by an engineer who fastened 2 skis together and attached a rope to one end for more control. He made it as a toy for his daughters, and the family dubbed it 'snurfing'. You can now ski and board in 97 countries, that is half the total number of countries in the world! It’s estimated that 25% of the populations of Austria, Norway and Switzerland can ski. Skiing is one of the fastest non-motorised sports on land. Some skiers can ski faster than a car – for example in 2006, Simone Origone set a world speed skiing record at 156.2mph. The record of the longest ski jump is held by Norwegian skier Anders Fannemel, who jumped 251.5 m in 2015. That’s longer than two football pitches. Skiing for an hour can burn 250-400 calories! St. Bernard of Menthon is the patron saint of skiing (as well as snowboarding, hiking, backpacking and mountaineering). He founded the famous hospice and monastery in a particularly treacherous part of the Swiss Alps known as the St. Bernard Pass. The famous dog breed is named after the hospice. So how many did you know? If you got more than 5 well done! If you have any obscure skiing facts you think we should add to the list let us know below. Still haven't booked your ski holiday? Get on it!